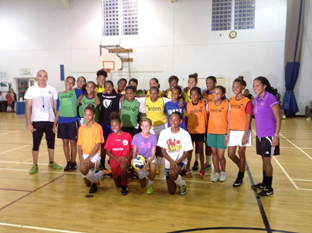 Over twenty females participated in the Female ID session hosted by CP Athletic Development Academy this past weekend. CP Athletic Development is committed to seeking educational and athletic opportunities for it’s members using a fast growing network of international preparatory schools, colleges and scouts. They can be contacted at cpathleticdevelopment@gmail.com.